Mentha pulegium (pennyroyal) is a perennial mint (family Lamiaceae) with a variable habit, ranging from low-growing, spreading plants to lanky, upright sub-shrubs. Although considered uncommon in much of California, pennyroyal occurs in the Sierra foothills, Central Valley, and most coastal counties from the Mexican border to Oregon. It is common as an obligate wetland indicator species in seasonally inundated soils of valley bottomlands, usually below 1,640 feet (500 m) elevation. Pennyroyal grows in flooded or seasonally wet areas: seeps, streamsides, vernal pools and swales, marshes, and ditches. Although pennyroyal is considered moderately invasive in wetlands its ecological impacts are not well documented. 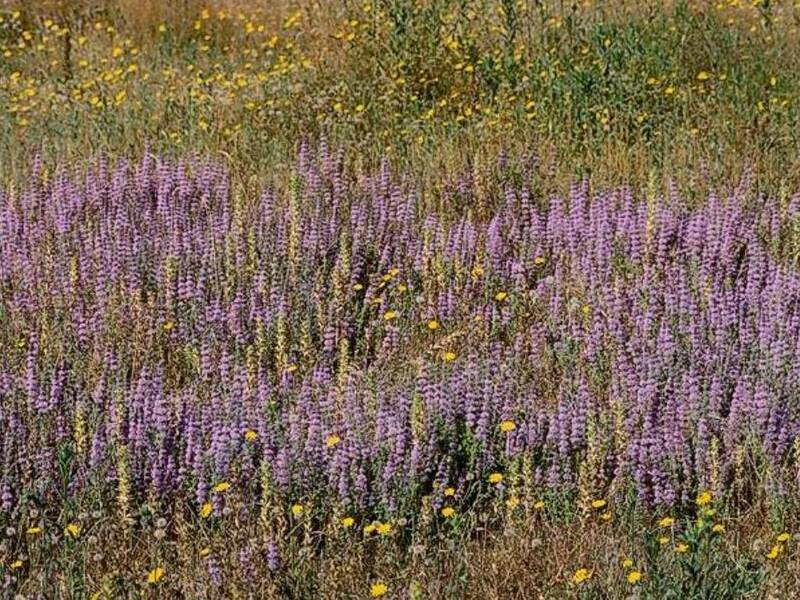 It clearly prospers in habitats that were once dominated by native plants, suggesting that it may have displaced some species. In particular, the flora of vernal pools may have suffered loss of habitat through the introduction of pennyroyal.